SwissKids is a new and combined platform to bring together interested families and their children to enjoy once a month a couple of fun, play and education filled hours. The program started in September last year and we currently have about 14 children aged between 3-12 attending with their parents. While the younger kids enjoy some handicraft and drawing, Esther, with the help of other parents, offers the older kids German lessons that focus on learning to speak, read and write German. They also incorporate fun games and small experiments into the lessons. Please contact the convenor Esther Blaser-Tokarev via email esther.blaser@gmx.ch for more details. I’ve been meaning to come along with my little girl for ages…but still haven’t managed. She’s almost two years old – are all the other kids 3 years+ ? We are very much looking forward to welcome you and your daughter at the next SwissKids event. While most of the kids are 3 years and older there are quiet a few that are younger and they are having great fun playing games and listening to the stories. Never mind, just saw it. Try to come along to this. Hi Rebekka, thank you for your inquiry. We welcome all families and please feel free to come along and try it out. However, as you asked, we do rely on membership to keep the club maintained and going. 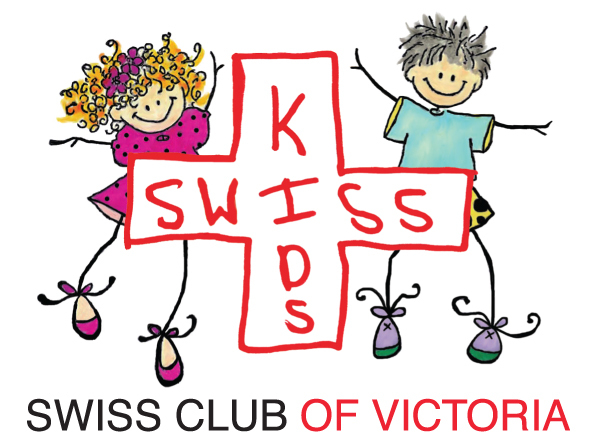 Without individuals becoming members and thus supporting us, we wouldn’t have a club and our interest groups, such as the SwissKids, wouldn’t have a friendly & safe place to meet. The SwissKids are meeting on Saturday, 11. October 2014 in Blackrock from 2-4. Come enjoy the spring weather with us at the park near the intersection of Beach, Bluff, and Balcombe Roads. It’s an excellent opportunity for the children to stretch their legs and for the adults to practice their Schwiizerdüütsch.